You don’t have to be a hockey fan to appreciate this book. It’s inspirational and motivating for children who play any sports. 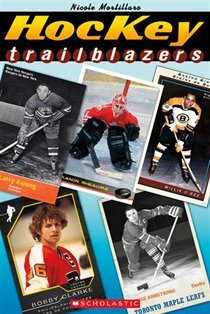 It briefly profiles the lives of five hockey players who overcame obstacles and what many consider impossible odds to fulfill their dreams. Willie O’Ree was the first black player to take part in an NHL game and racism wasn’t his only problem. He also had a serious injury. George Armstrong was the first Native player who also became the longest-serving captain in Leafs history. Manon Rhéaume, a Quebecer who grew up not too far from where I did, was the first woman who played against men in a pre-season game. Bobby Clarke was diabetic at a time when it wasn’t as easy to test his blood as it is today, and Larry Kwong was Chinese-Canadian and very poor. If you have a child who loves to play hockey or any other sport for that matter, these stories will certainly inspire and make them realize that sometimes the word “Impossible” just means to try harder rather than to give up. 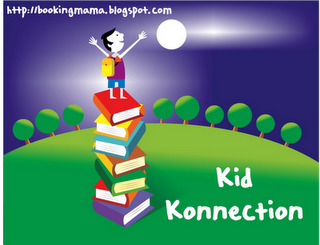 This sounds like a wonderfully inspiring book for kids! My son was always drawn to books about athletes. I think I'd love this one too. I'm a sucker for books about people who overcome obstacles. My Bebe Boy James would love this; he reads fiction of course, but he has a thing for sports and how things work and almanacs and weird facts non-fiction books too!